Considered a real jewel of the city of Sorrento, the museum due to its wealth in artwork is a must for enthusiasts of artwork as well as lovers of objects of decorative art and archeology. 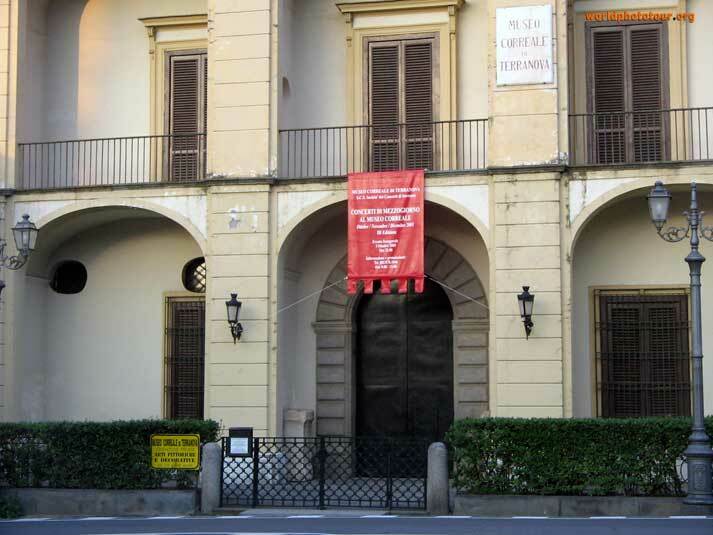 The museum was instituted by the bequeaths of brothers Alfredo and Pompeo Correale, counts of Terranova. Lovers of art, they donated to the town of Sorrento the splendid eighteenth century building which is surrounded by a citrus garden and a terrace overlooking the sea together with all their collection to make a Museum open to the public. The Correale Museum is custodian of Neapolitan and European art works of several centuries, including paintings, archeological finds of the area, inlaid furniture in the typical local craftsmanship, Capodimonte porcelain, Murano chandeliers and articles belonging to the aristocratic family, all testimony to the culture of this corner of Italy. The Museum has three floors with a total of 24 rooms. The museum is divided by sections following a chronological criterion. 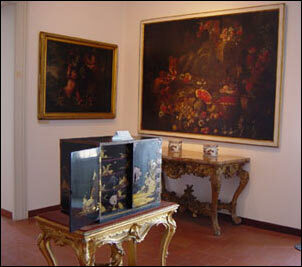 Visiting the museum, you pass magnificent baroque art with the delicate and elegant shapes of the 1700’s. The visit to the museum concludes with a walk in the surrounding gardens. The route is divided by a series of flower beds and archeological finds, remarkable trees and gracious walks and groves including the camellia grove. The first room of the ground floor of the museum is entirely dedicated to the founders of the museum. At the entrance, portraits of the founders are exhibited together with an impressive family tree, in which the story of the Correale di Terranova family that runs into 1900 is recounted (non ero sicura se volevi dire 1900 or XIX secolo. Se e` XIX secolo, devi dire “the19th century…”). The other sections are dedicated to Sorrentine intarsia and to Roman and medieval finds that are a tribute to the town of Sorrento, its history, its traditions and its famous people. 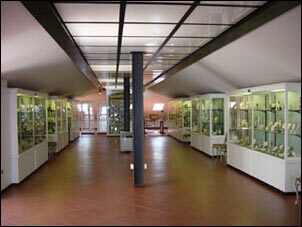 On this same level, you can admire also a room dedicated to the poet Tasso, with his precious works and death mask. Through a staircase with carved piperno balustrades, you reach the first floor. 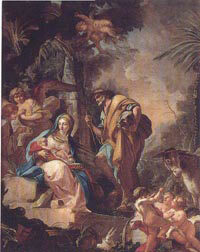 The rooms of this floor predominantly host a collection of decorative Neapolitan art of XVI to XVIII century. This art touches upon the Austrian vice-regal period until the constitution of the independent reign of Naples and Sicily with Charles Bourbon. Of rare beauty, is the Monet veneered with tortoiseshell in room 6, a pair of consoles decorated with mirrors and in room 7, and the room known as “Biribissi” which is dedicated to the refined board game of odd or even. The second floor is composed of 9 rooms, in which the first four host precious still life artwork of the Neapolitan school (XVII century). This genre of painting is driven by a vibrant innovative vision, naturalistic and illuminating, which is repeated in the works of Michelangelo of Caravaggio. Room 19 is dedicated to the painters of the nineteenth century of the Posillipo school, while the other rooms hold decorative collections that come for the XVII to XIX century. The third floor of the museum holds an extraordinary collection of European porcelain of the XVIII century and of Italian majolica of the same era. The production of porcelain, so abundant during the eighteenth century, was comparable in the quantity and consistency of that which originated from China and Japan and recounts the luxury and the pomp of the courts of the time. On this floor, there is extensive representation of German, Austrian and Italian porcelain. The objects of common use are tea services, snuff sets, and perfume carriers. They serve as testimony to the passion for collecting which exploded with the introduction of porcelain, as opposed to the use of majolica.